Sitting on a sofa in Helsinki’s Kruununhaka district on a grey March morning, I was startled when Miles Davis and his late ‘60s quintet suddenly appeared in front of me. Keyboardist Herbie Hancock hunched near the window in the modest flat that serves as Knif Audio’s headquarters. Drummer Tony Williams meditated behind a hulking Knif amp while the Prince of Darkness glowered a metre away, his trumpet slicing and electrifying the air. This is the kind of high-end musical experience for which audiophiles pay astonishing sums. In this case, it was provided by a pair of 168cm-high wooden sculptures, the first pair of Knif Rauman Nº1 loudspeakers. Since 2005, Knif Audio has attracted a stellar reputation – and long waiting lists – for its handcrafted pro studio components and a cult-favourite analogue synthesiser, the Knifonium [see sidebar]. Now founder Jonte Knif and designer Janne Rauman have set up a new firm, Knif Rauman, to enter the crowded high-end loudspeaker market. The towering No. 1 speakers will be launched internationally at High End Munich trade fair in May. Like Knif Audio’s sought-after equalizers, they will be made to order, at a price tag of close to 50,000 euros a pair – “quite a competitive price in this market,” says Knif drily. Knif Rauman joins the ranks of Finnish hi-fi loudspeaker exporters, including Aurelia, Gradient, two industry heavy-hitters, Genelec and Amphion. In line with clichés about Finns, all three firms emphasise simplicity and no-nonsense honesty in their products – which can mean revealing the shortcomings in a musical recording. Genelec takes a similar view. 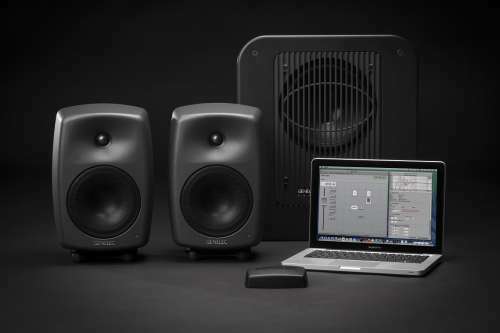 Genelec Loudspeaker Manager Control Network: Smart Active Monitors, a subwoofer and the software. 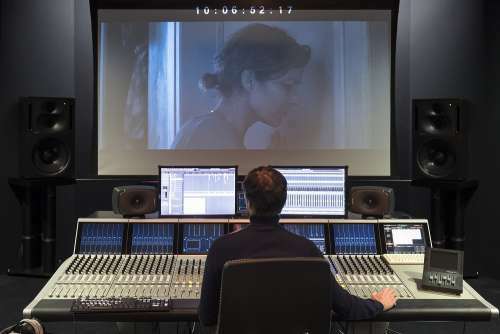 Genelec, which celebrated its 40th anniversary last year, is world-renowned among audio professionals for industry-standard studio monitor speakers, moving more recently into consumer and live-venue audio. Amphion, established 20 years later, has gone the opposite route, first becoming known for its home speakers and only later gaining a reputation for professional studio monitors. The biggest difference between studio and consumer usage is that “typically the professional products are used at a listening distance of 1-2 meters, which tends to be quite a bit shorter than at home,” he points out. “And the room acoustics also tend to be different” – a decisive factor. As rooms vary, so do listeners’ musical diets – which naturally shapes demands on speakers. “Other than that, the only real difference between excellent speakers for different styles of music is bass extension. If you only listen to classical guitar or harpsichord music, you don’t need bass extension. But great speakers are great for everything – except for bad recordings of course!” he says. “I honestly believe that clear, natural, emotionally touching sound can contribute very positively to people’s daily lives," says Anssi Hyvönen (left). Photo by Amphion Loudspeakers Ltd. Speakers include drivers that deliver bass, mid-range and treble frequencies, which are split up by crossovers, an area where Amphion takes a different approach than many other producers. “For some reason a lot of speaker manufacturers put their crossover point in the area where human hearing is the most sensitive, around 2000-5000 Hz. 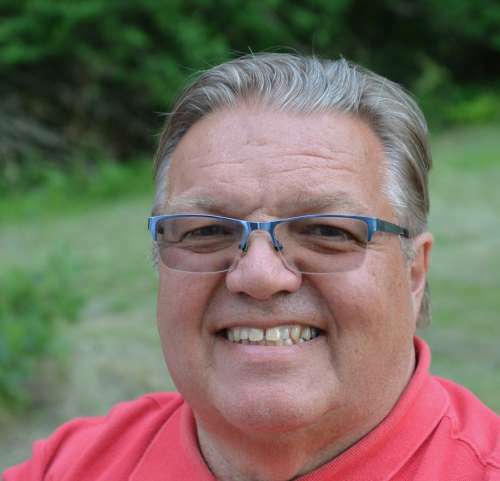 Our approach is to move the crossover to the area where the ear’s sensitivity is lower, so we can create a seamless transition from one driver to another,” explains Hyvönen. The speakers’ waveguide – which physically guides the sound waves – allows speakers to work better in different acoustic environments and “offers the possibility of ‘seeing’ the instruments in three-dimensional space,” he adds. Virtually all Genelec speakers, meanwhile, have a trademark rounded shape, created with leading Finnish designer Harri Koskinen, also known for his similarly curved LP storage units. While the speakers look simple, they are quite complex. Genelec fine-tuned this system for Helsinki’s state-of-the-art music club, G Livelab (the “G” refers to the company name). In 2016, Genelec supplied the audio system for this intimate venue, including more than 70 speakers of various types. “G Livelab has certainly opened people’s eyes to the fact that you can also use monitor loudspeakers in a live environment, although it’s limited to special projects like this,” he says. Next autumn, a second G Livelab, also owned by the Finnish Musicians’ Union, opens in Tampere. “For a home studio, there are a lot of options on the market. The lowest-cost computer-based setup starts around €1,000 and runs up to about €5,000 for a decent mid-priced studio setup. For a home hi-fi, the options are endless," says Lars-Olof Janflod. The clubs offer a showcase for Genelec, but how else do these relatively small Finnish audio firms manage to succeed on the crowded global market? 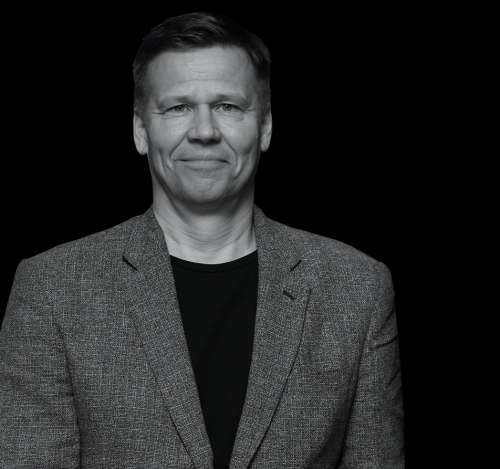 Both Amphion and Genelec estimate that close to 80 percent of their design and manufacturing is Finnish, though Hyvönen explains that the components for his firm’s relatively new line of amplifiers, which are assembled in-house, mostly come from abroad. While the other firms, both based in eastern Finland, praise their local craftspeople’s work, the Helsinki-based Knif is more blunt. “Finland might be the most liveable country in the world, but for subcontracting well-made stuff, this is a bad place to be. I finally found a good metal machining firm for Knif Audio components, but good surface treatment is very hard to find,” he says. Still, all three also stress the role of old-school handicraft from design through manufacturing. Featured photo: Knif Rauman No.1 loudspeakers. While none of these Finnish audio brands may yet be household names to average consumers abroad, they’re all revered by the top echelon of producers and engineers. These include US producer Jacquire King, who’s won Grammy Awards for his work with Tom Waits, Buddy Guy and Kings of Leon, and swears by Amphion. Like King, he underlines the importance of the mid-range, which is crucial as even the cheapest speaker or earbud has mid-range. Meanwhile the UK’s Simon Climie, who’s written hits for Aretha Franklin and George Michael and produced albums for Eric Clapton, ‘loves’ Genelec speakers. Climie also appreciates Genelec’s Smart Active Monitor (SAM) technology, which automatically adapts monitors to the acoustic environment. Closer to home, Helsinki’s Henkka Niemistö is one of the Nordic region’s most sought-after mastering engineers, and a dedicated Amphion user. “They help me work efficiently and make the right decisions time after time, regardless of the musical style,” says Niemistö, whose mastering work includes hits by the likes of Ed Sheeran, Finnish Chisu and Darude as well as Nokia ringtones and Angry Birds games.“My favourite setup is the Two18’s paired with BaseTwo25’s, which allows for good frequency response from about 10Hz” – far lower than most people can hear. Featured photo: Room of Mastering Engineer Henkka Niemistö, Helsinki Finland. The importance of cables – myth or reality? In Finland there has been some public discussion lately on the role of cables for sound systems – as well as their cost. What should one know about cables? “Cables must be taken into consideration in a high performance system. As tire choice affects the performance of a car, all cables are not the same. But just as tire choices are more important in a F1 racer and not as critical in a family car, most normal systems perform well with a wide range of cables. Room acoustics and how speakers are positioned play far greater roles than cables. The sad part of the hi-fi market is that people spend substantial amount of money on their systems but do not think about their listening rooms one bit. Featured photo: Room of recording, mixing engineer Alan Vukelic, Germany. Besides his sought-after pro studio components, Jonte Knif has created a more unusual product: the Knifonium, a synthesizer with only traditional vacuum tubes. Here he performs Cadenza of the 1st movement "Fat & Filth" from Olli Virtaperko's Concerto for Knifonium and Chamber Orchestra, 2013/2015 (Ondine).